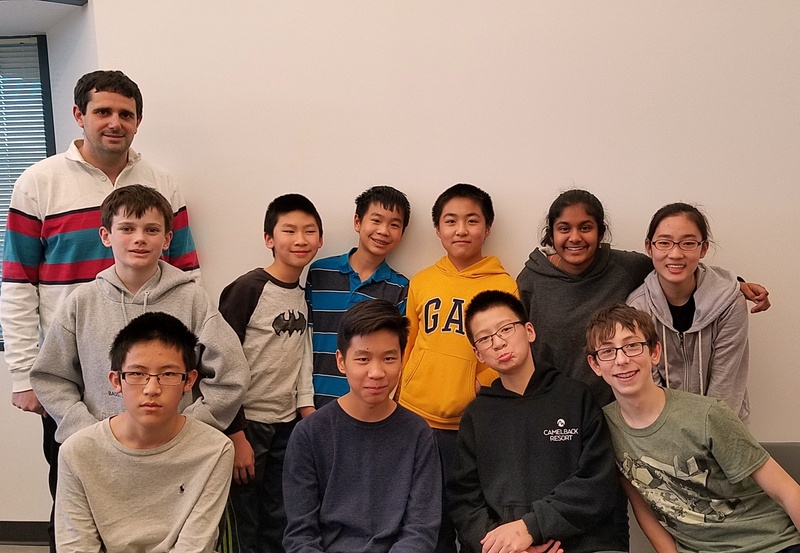 MATHCOUNTS Team Wins Regional Championship! 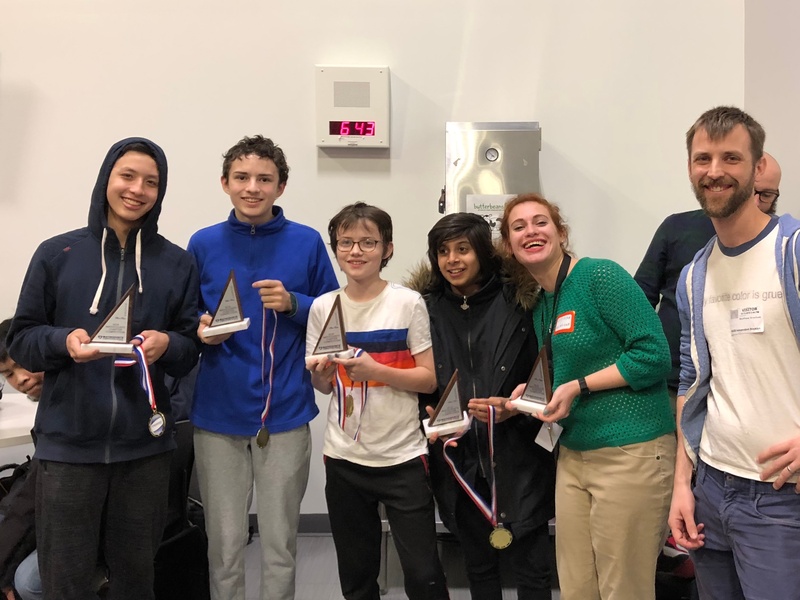 Our BASIS Independent Brooklyn MATHCOUNTS team won the Brooklyn Region Chapter Competition, which took place on February 13 at our campus. The team, Soren D. '22, Syun D. '24, Liem E. '22, and Max. S. '23, have now qualified for the New York State MATHCOUNTS championships on March 17. “Being a first year math teacher at the school and seeing our students go ahead to state championship is a dream,” said Ms. Snyder. "Students here impress me; they are dedicated to hard work. The persistence in problem solving is just amazing, and it is very rewarding to see students thrive while grappling with different types of math problems. The success of the MATHCOUNTS team mirrors the drive our faculty see each day in the classroom." Individually, Soren placed second overall in the competition. The team has been meeting weekly to practice with their coaches—Ms. Snyder and parent Matt Hughes—in preparation for the competition. Both coaches were competitive mathletes while in high school, and we are very fortunate to have their expertise on how to approach speed, accuracy, and other elements of math competitions from MATHCOUNTS to AMC. What's more, Ms. Snyder recruited a new player the day of the tournament, making our team's MATHCOUNTS win all the more impressive. The day of the Regional MATHCOUNTS competition, Syun D. jumped in to fill an unexpected vacancy on our team and help support BASIS Independent Brooklyn's presence at the competition. BASIS Independent Brooklyn joins BASIS Independent McLean in going to the state competition. Our sister team (pictured below) is the defending state champion in Virginia! MATHCOUNTS is a national middle school math enrichment program offering competition and club activities designed to foster appreciation of math among U.S. students to prepare students for future career opportunities and success.